We compared multiple custom sticker manufacturers and Sticker Canada had the best price by far. Other considerations for our order were quality and turnaround time and Sticker Canada exceeded our expectations on both. Our stickers arrived in half the time that we expected and the quality and artwork turned out perfectly. We will definitely use Sticker Canada again for our next order. 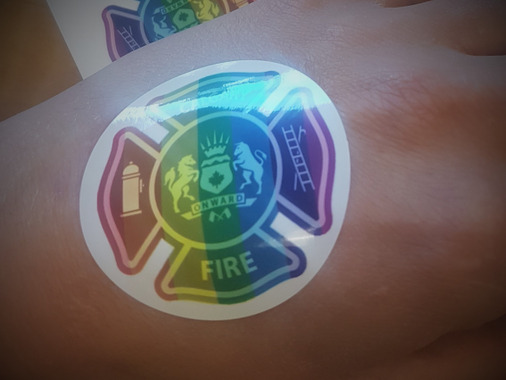 The purpose of our stickers was to apply to the clothing or skin of both ourselves and the public at events to promote our organization. We selected the with adhesive to avoid possibly damaging clothes with heavy adhesives. The normal adhesive adheres great to skin, but didn't stick great to clothing, so we may try the strong adhesive next time. The normal adhesive is adequate though for any smooth surface like paper, plastic, glass, wood, metal, etc. It was still great to have both options and we know better now which option best suits our needs.